The proposed Sesquicentennial Hall would be located across from Engineering Hall to house UW–Platteville’s mechanical and industrial engineering programs. POSTED August 31, 2017 9:26 a.m. The week before students resume or begin classes at UW–Platteville, their educational institution got big news Monday. Two long-sought UWP projects — $55 million for a new engineering hall and $24 million for the second phase of the renovation of Boebel Hall — were added to the 2017–19 state budget by the Legislature’s Joint Finance Committee. The vote does not mean the projects are a 100-percent certainty, but the JFC’s inclusion of the projects in the 2017–19 budget means they would have be voted out of the budget by the Legislature, or line-item vetoed by Gov. Scott Walker, to be removed from the 2017–19 budget. “Thrilled” is a good description of UWP chancellor Dennis Shields as well. The JFC held its first budget hearing at UW–Platteville April 3, with several speakers advocating for the two projects. The UW System Board of Regents included the projects on its 2017–19 budget request last August. Boebel Hall was the UW System’s top renovation priority out of more than 70 proposed renovation projects, and Sesquicentennial Hall was the only new proposed building in the 2017–19 UW System budget proposal. “These two projects are important to build on the university’s strength in the STEM fields. And for that reason, it is important to Wisconsin’s workforce development and growth,” said Shields in a news release. 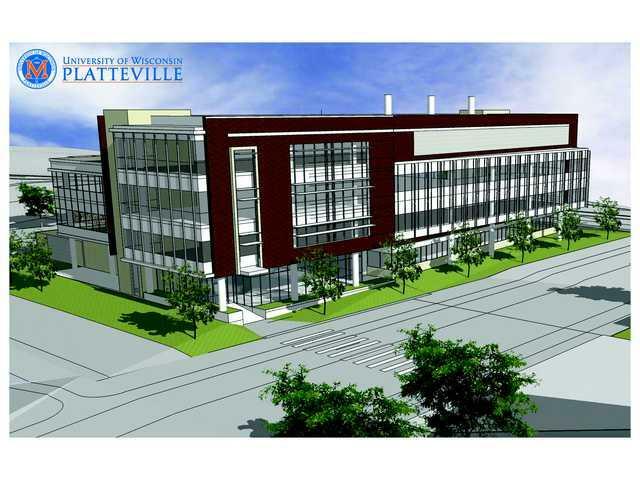 “UW–Platteville graduates the second-highest number of engineers in the state, and this new engineering building will allow us to educate up to an additional 800 freshmen and 200 transfer students. The Boebel Hall renovations will transform 17 laboratories into modern facilities for STEM education. Marklein added that 80 percent of UWP’s incoming engineering students last fall were state residents, and that return on investment for in-state students, 11.4 percent, was the best in the UW System. UWP’s mechanical and industrial engineering programs are now housed in Ottensman Hall and are slated for Sesquicentennial Hall. Sesquicentennial Hall would augment Engineering Hall, which was built in 2008 with UW–Platteville and the UW–Platteville Foundation funding 60 percent of the building. The funding for Boebel Hall would be the second of three slated phases of renovation of the building. If the Boebel Hall phase two remains in the budget that is approved by the state Assembly and Senate and signed by Gov. Scott Walker, construction is slated to begin in October 2019 and be completed in December 2021. If Sesquicentennial Hall remains in the budget, construction is scheduled to begin in September 2021 and be completed in December 2023.